Artes, Spain. This small town on the outskirts of Barcelona is home to Aneto, a broth manufacturer named after the tallest mountain in the Pyrenees. Unless you live in Spain or frequent specialty shops in the U.S. you’ve likely never heard of this broth manufacturer. But as Aneto products continue to make their way across more locations in the United States, Canada and western Europe, you’re bound to come across them. And when you do I hope you’ll stop for a moment, take a carton of broth in your hands, and reflect on what I’m about to share with you. 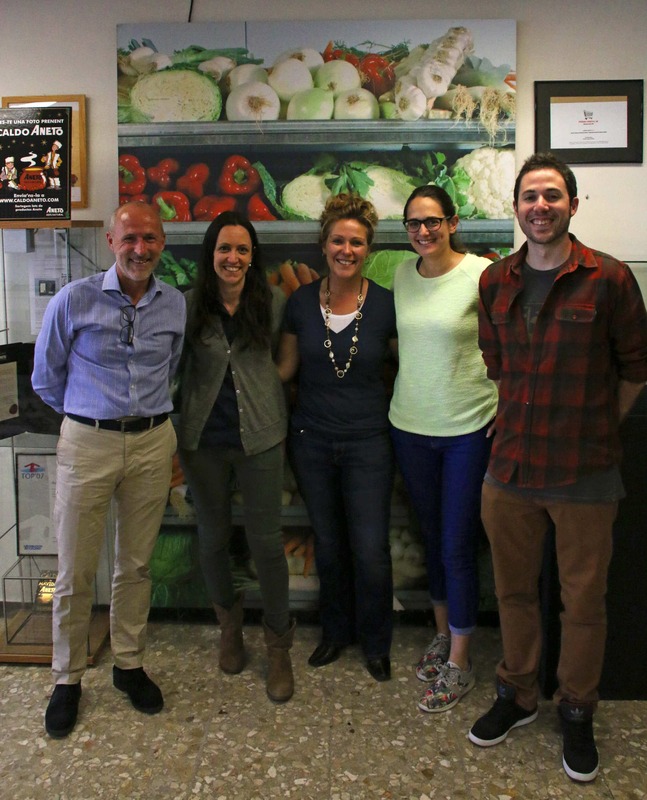 My husband and I returned from Spain a couple of months ago where we had the most inspiring experience we’ve ever had with anything related to the food industry. But first let me set the stage so you can put into proper perspective just how radically different – and vastly better – Aneto is from other broth manufacturers. If you walked into a broth factory, whether they’re the makers of the stuff you avoid or the stuff you pay a premium price for at your local health food store, here is what you would observe: People mixing together a variety of flavored powders, extracts or concentrates in water and pouring that potion into cans or cartons to sell as broth, stock, or just packaging it in bouillon cube form. And that includes those products labeled as “natural” and “organic.” What you wouldn’t see is any sign of a fresh vegetable or a real piece of meat (and in the rare instances that you may see some, it will be in the tiniest of quantities – more on that below). That’s because most broths, from cheap to premium organic, are made from concentrate. And from flavor enhancers used to mimic the real thing (yes, that includes “natural” flavors – more on that later as well). That means that maybe somewhere at some point in the long chain of food-manufacturing that produces the stuff that goes into the broth at the end of the factory line, a real piece of chicken made its way into the powdered or liquid concentrate. But you’ll need a microscope to find it. To be called “broth” the USDA only requires a Moisture-Protein Ratio (MPR) of 1:135. That’s 1 part chicken to 135 parts water. That translates as 1 ounce of chicken per gallon of water. As unbelievable as that sounds, we’re understandably left asking, “So where’s the chicken in the chicken broth?” But it gets even worse. That one ounce of chicken isn’t even real chicken. Using industry standard terms, that ounce of chicken can be anything from “chicken extract” to “chicken powder”, “chicken by-product” and “pulverized chicken tissue.” Sound appetizing? So in whatever form that chicken may come, we’re left holding a can or carton of broth with a chicken-to-water ratio of 1:135 and the next question we’re wondering is “so if there’s such little actual chicken in it, where’s all the flavor coming from?” And that’s the question we’re not supposed to ask. That’s a superb question, one we wish the FDA would answer. Unfortunately they have no definition. In Western Europe the word “natural” comes with strict standards that must be met in order to use that word on any food packaging. Very little that’s passed off as “natural” here would be approved as such overseas. That’s because the U.S. has virtually no standards for the term. And so much of what we buy that’s advertised as “natural” is no different from all the suspect material we try to avoid. Another common flavor enhancer is “yeast extract.” It sounds pretty benign, doesn’t it? After all, we associate yeast with grandma’s baking. But in fact, yeast extract contains the same concentrated free glutamic acid as MSG. A loophole in FDA regulations, MSG has been replaced by yeast extract as a flavor booster in most processed foods, posing problems for those with MSG sensitivities. Two other commonly used flavor additives that contain MSG are “autolyzed yeast” and “hydrolyzed yeast”. 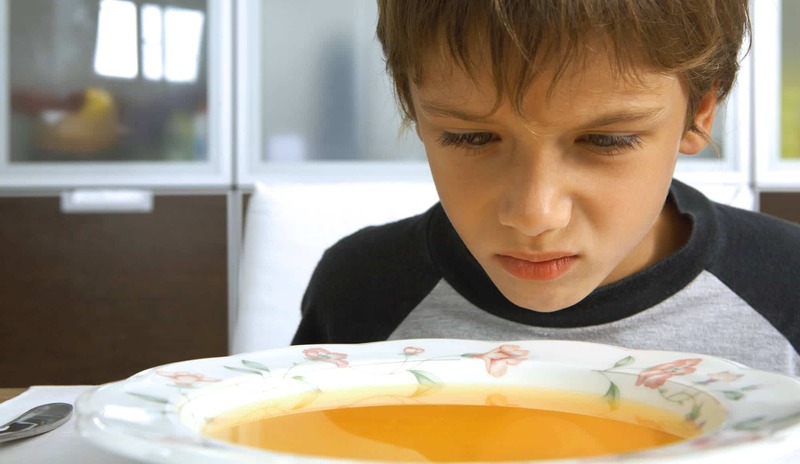 Sadly, the broths on the market are little more than glorified water with a microscopic hint of chicken that’s flavor-boosted with a ton of undesirable chemicals to make you think you’re eating chicken broth. Let’s take a look at the ingredients in a few top leading brands, some that have been household names forever and some that are advertised as “healthy”, “natural” and “organic” broth that are found in your local health food stores. The nasty ingredients, sugars or fillers are bolded. Leading Household Name Brand: Chicken stock, salt, monosodium glutamate, dextrose, yeast extract, chicken flavor, corn syrup solids, chicken fat, hydrolyzed soy protein, dehydrated chicken broth. So the first ingredient, chicken broth, is defined for us as “water, chicken.” Yes, we already know about the 135:1 ratio. And because it’s so watered down we must add a dash of that cryptic ingredient, chicken flavor. Perhaps to camouflage the weird aftertaste, we add some sugar (who adds sugar in chicken broth when making it at home??). And because flavor is still lacking, MSG comes to the rescue in the form of yeast extract. Because there’s a glaring absence of actual broth ingredients (like carrots, celery or leek) we at least find some onion – onion powder. That way we can claim it’s made with veggies. And to pass it off as something gourmet let’s add an herb, albeit rosemary extract. Let me point out that if they were actually making the broth, as in cooking/simmering it with whole foods, extract wouldn’t be necessary. So is there a real broth on the market that’s made with real, whole foods and without all the junk additives? A flavorful, wholesome broth like the kind grandma used to make? Yes. Let me introduce you. What if you picked up a carton of broth and saw this? That’s Aneto’s ingredients list on the back of their carton of chicken broth. Simple, whole, clean ingredients. That’s it. No flavor enhancers of any kind, no fillers, no “natural flavors.” So where does all the flavor in Aneto’s broths come from? The flavor comes from the real, whole ingredients! And from large quantities of real, fresh chicken! 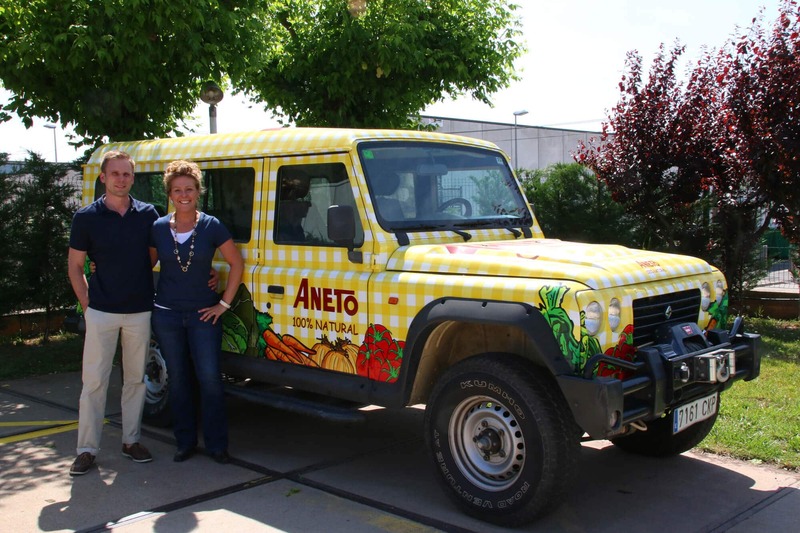 Aneto’s ingredients are so refreshingly simple and healthy compared with the food manufacturing world as a whole. 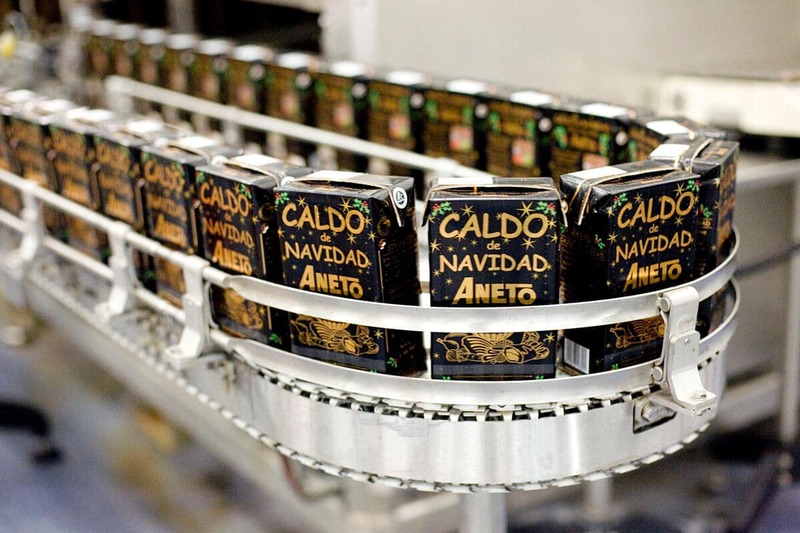 But the remarkableness of Aneto’s products, the thing that sets them apart, goes far beyond the purity of their list of ingredients: It’s also their method of making broth that is unlike any other broth manufacturer in the world. And as dramatic as that sounds, it’s quite the opposite: At Aneto they’re making broth the way that we – you and I – make it in our own kitchen. They make it from scratch. They follow a recipe. And they use pure, whole ingredients – without any concentrates, sneaky fillers, flavor enhancers or additives. In every sense of the word it really is 100% natural. As for the chicken, it’s real and in generous amounts. 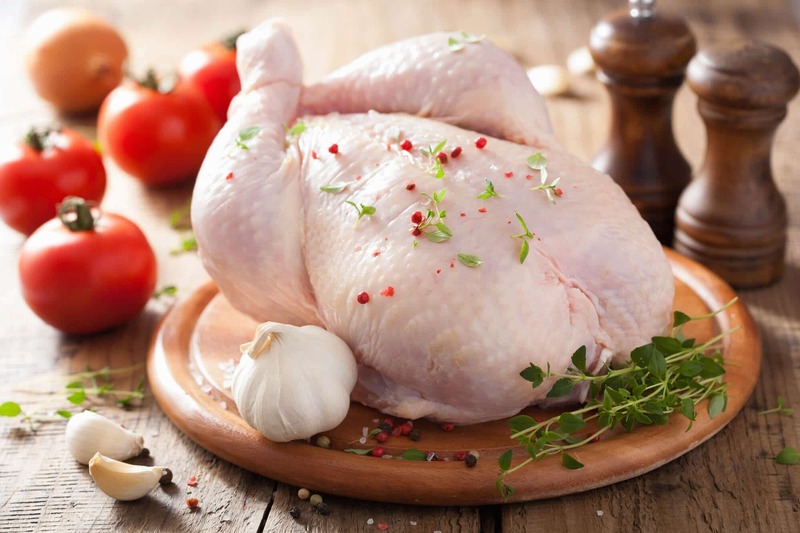 They use whole fresh chickens because that’s not only where the flavor lies, but the nutrition also: The nutrition is largely in the bones and it’s also from the breakdown of collagen and muscle tissue that gives good chicken broth its rich body and texture. And that breakdown is accomplished by Aneto’s good old-fashioned method of slow-simmering for hours. It all sounds almost too good to be true, doesn’t it? And that’s what bowled us over to the point where I was actually feeling emotional during parts of their factory tour. Emotional. In a broth factory! Seriously, I was that overcome by the purity and honesty of their approach to broth. Throughout our tour I kept thinking about two things: (1) my frustration with the broths that are passed off as wholesome back home and the general lack of awareness about it, and (2) my excitement about returning home to share what I had found with others. Yes, for 13 years Aneto has had the audacity to do something completely radical: Make broth the way you make it at home. My husband and I were in Spain a couple of months ago and Aneto invited us to take a personal tour of their factory near Barcelona, something they regularly invite people to do. Their open-door policy and transparency is truly remarkable and in stark contrast to the attitudes and secretiveness of many food manufacturers. Our family has been a fan of Aneto’s broths for over two years now and it was so awesome to be able to tour their factory. It’s made us appreciate Aneto’s products all the more. For 40 years, Aneto was a respected producer of Serrano hams and cured charcuterie. About 13 years ago they shifted to producing what we consider the finest artisan broths in the world. Let’s head inside the factory and show you what we observed ourselves. Different days are dedicated to making different kinds of broth and were were there on the day slated for chicken broth. 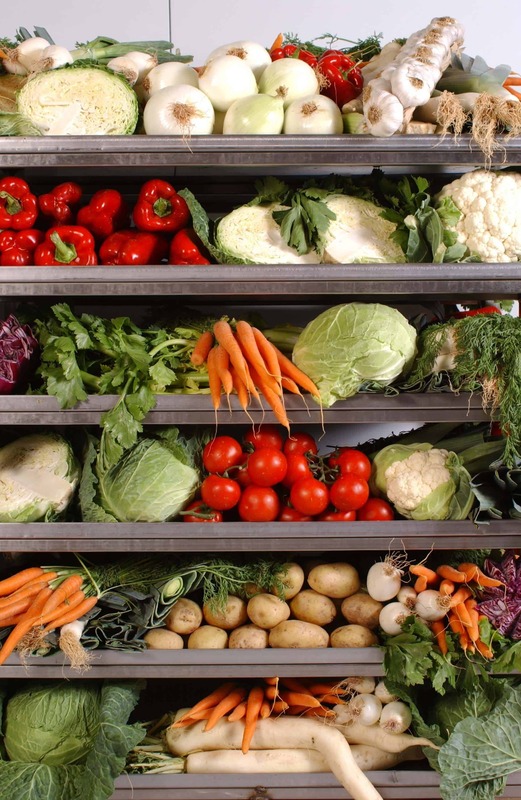 The first room was the prep room loaded with massive crates of the freshest vegetables. It was almost like walking through a farmer’s market. In this portion of the factory we saw two people in clean white scrubs coarsely chopping up the fresh vegetables. 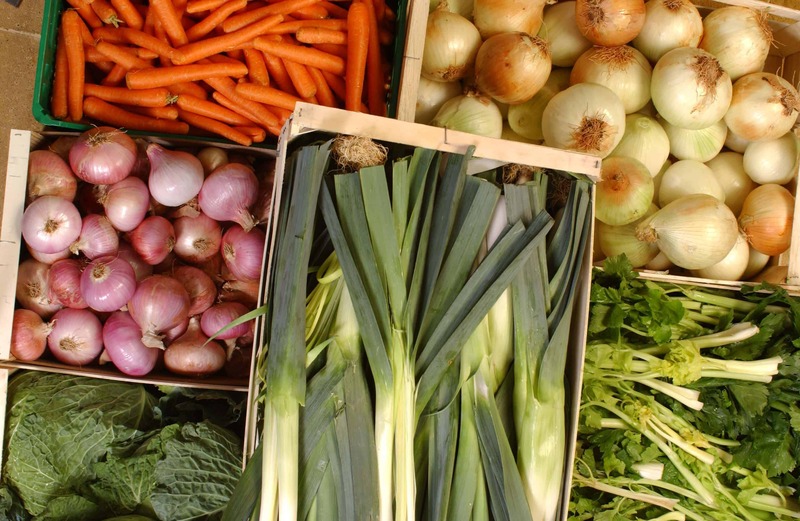 Cabbages, leeks, celery, onions, carrots and more. The aroma of fresh vegetables filled the room. One by one they grabbed fresh vegetables, cut and sliced them and placed them in tubs of water to give them a final washing. The process was methodical, thorough and very organized. And everything was done by hand with close and immediate oversight of every step in the process. The vegetables were carted out and placed into what looked like huge metal colanders along with fresh whole, free-range chickens. These big colanders were then attached to long chains that would soon lift them to the massive pots for simmering. The process that followed was absolutely incredible – because it was so simple. So wholesome. So exactly like homemade. 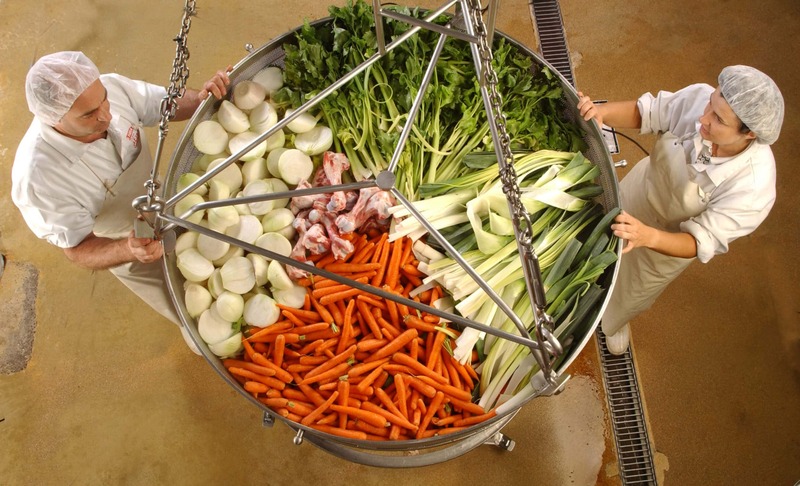 The huge colanders, packed to the brim with fresh vegetables and chicken, were lifted up and then lowered into enormous stock pots filled with water. These huge stock pots were designed by Aneto and are used exclusively by them. We were able to climb up to the second level and watch as the broth was prepared. Water filled into the pot and it was slowly heated. 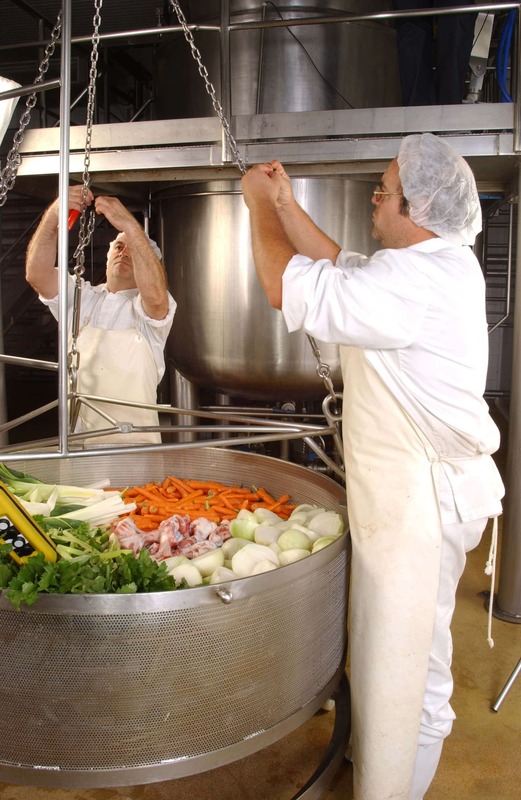 You would think that a broth manufacturer would want to accelerate the process to increase the volume of their production. Not so with Aneto. All of their broths are simmered low and slow for a minimum of 3 hours. That allows the needed time to not only maximize the flavor but to break down the collagen and muscle of the chicken pieces for optimal nutrition, body and texture. If only you could have been in that room with us while those mass quantities of chicken broth were being simmered – oh, the heavenly aroma! For some of their broths, like certain meat broths and their seafood broths, they have special ovens in which they first bake or roast the meats and seafood (eg, crab, lobster, etc) for an especially rich and vibrant flavor. We were there just in time to witness completion of one batch of chicken broth. 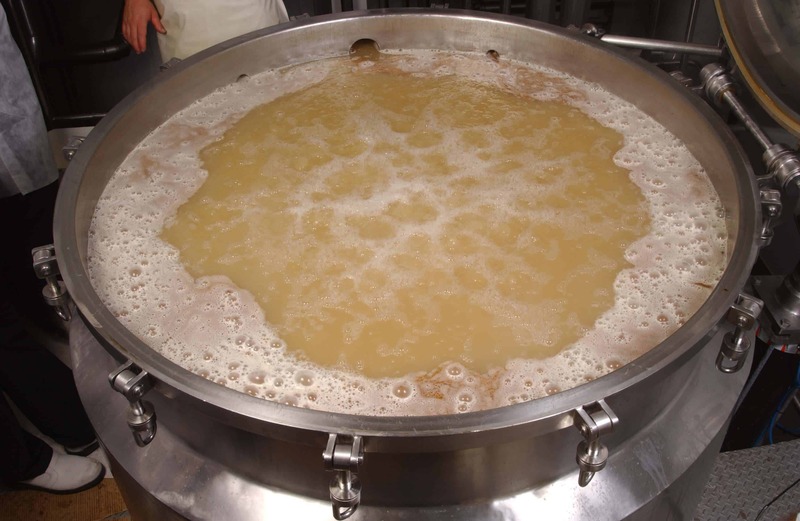 Can you imagine standing over an enormous pot of slow-cooked chicken broth like this? I just wanted to keep inhaling! This is broth production at its very best. 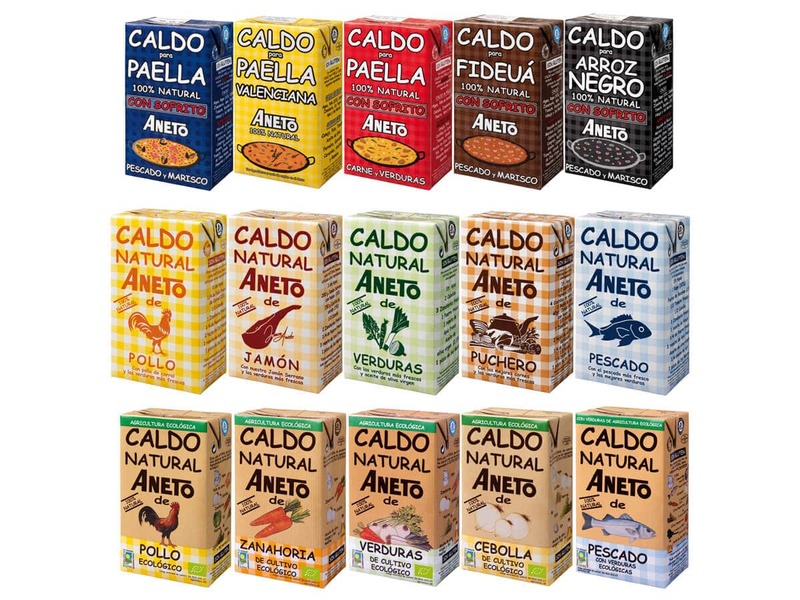 I mentioned before that Aneto makes different broths on different days and after our tour we were able to sample several of them, including ones not yet on the U.S. market. In all we’ve tried more than a dozen of Aneto’s broths. They are all absolutely incredible and the flavors are so fresh and vibrant! A particularly delicious broth is their Jamón broth, the first broth Aneto ever created. It’s made with Jamón Ibérico, Spain’s famous and highly prized cured ham. Imagine a broth made with smoked ham hocks, then imagine it’s a hundred times better. That’s Aneto’s Jamon broth. They don’t currently sell that one in the U.S. but I have a feeling it’s coming and I hope it does! As the tour continued we saw the broth cooling and packaging machines. 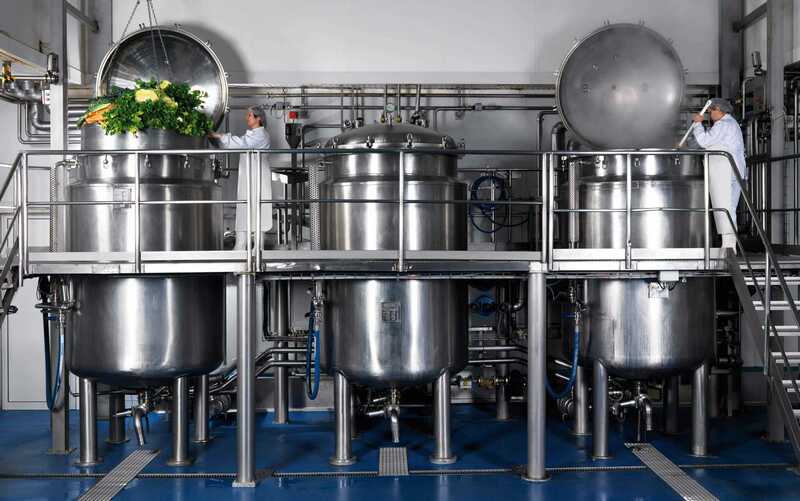 Throughout production, multiple safety measures are in place to maintain product purity. The Aneto staff answered every question we had (and we had a lot of them) and the entire process from beginning to end was absolutely fascinating. The packaging room was also fun to observe. I don’t have a picture of it but the speed at which the cartons were formed and filled was amazing. We observed rigorous quality control each step along the way to ensure a flawless product. Bricks and bricks of broth came pouring out of the packaging machine onto conveyor belts that were then gathered and boxed for shipping. Aneto also has a line of delicious low salt and no-salt broths. Throughout Spain medical pharmacies carry those for people on special diets. In addition to the broths, Aneto also has a line of gourmet paella cooking bases. You simply add them to the rice along with your vegetables and meats or seafood and your paella will taste amazing! I brought two paella pans back with us from Spain and making paella with Aneto’s paella bases has practically become a tradition in our home. There are several more broths that Aneto makes that aren’t pictured here. And Aneto is constantly (and literally) brewing up new ideas and products. I can’t wait to sample what comes next! Once the tour of the factory was done we headed back upstairs for some lunch and to check out Aneto’s test kitchen. Alba (left) is in charge of product development and interestingly, besides being a food scientist and product developer, she’s also a food blogger in her spare time. 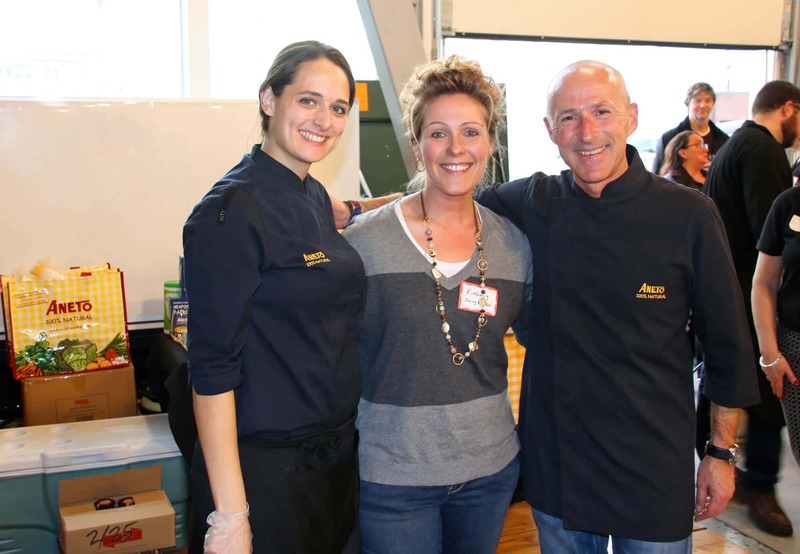 Alba develops recipes for new broths, paella bases and other products in Aneto’s test kitchen. She uses the same equipment that they do downstairs in the factory, just on regular everyday scale. 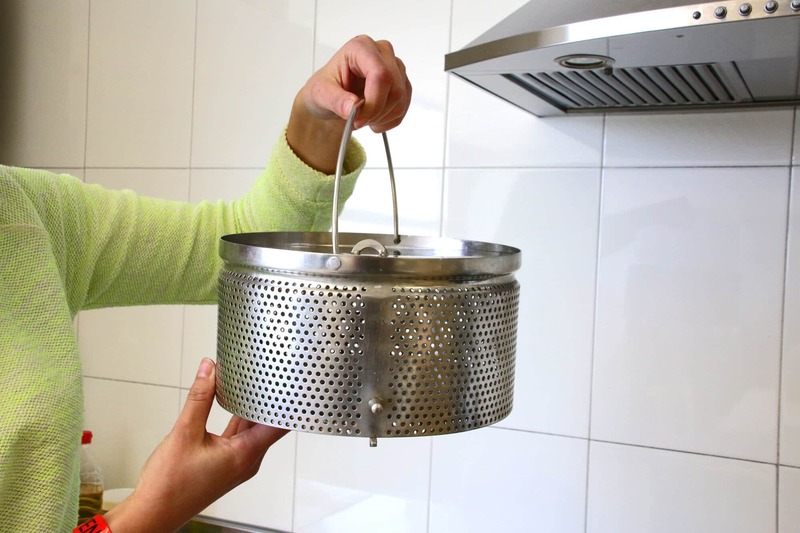 She packs fresh vegetables, meats or seafood into a metal colander and slowly simmers it in a stock pot. The Aneto staff will all taste the broth and weigh in with their opinions to adjust certain ratios or tweak certain ingredients. The final recipe is then taken downstairs and produced on a large scale. It’s really that simple. And it’s really that spectacular. You see, at Aneto they don’t create formulas. They create recipes. Yes, Aneto is doing something truly revolutionary: They’re making food the right way. The wholesome way. The natural way. Meeting the wonderful staff at Aneto was also a real privilege. I have never met with a team of professionals that was more genuine, passionate, committed and friendly as the team at Aneto. Meeting with them felt like I was among dear friends. Todd and I came away energized and excited by what we saw, heard and tasted. Truly, touring the Aneto facility was the most encouraging and inspiring experiences we’ve ever had in the food manufacturing industry. 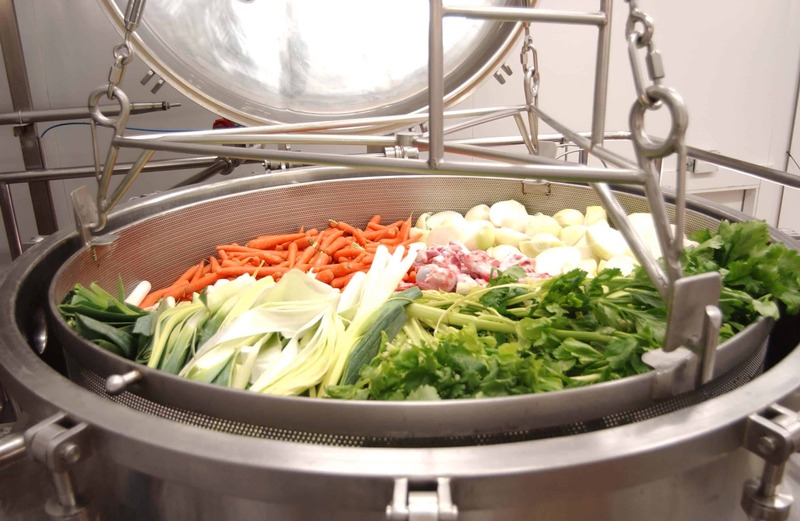 In summary, at Aneto the process is as simple as the one you follow in your own kitchen: They wash and chop fresh vegetables, use quality free-range chicken, then lower everything into a pot of water to simmer over low temperature for several hours. Aneto’s broths are 100% made from scratch. No concentrates, no fillers, no flavor enhancers – no additives of any kind. 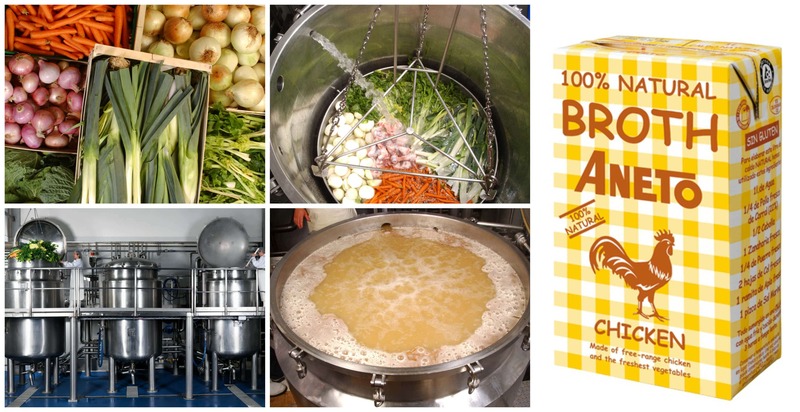 In every sense of the word, Aneto broths are 100% natural. Aneto’s most effective marketing tool is giving out free samples everywhere – nearly 265,000 gallons a year! – because those who try it fall in love. Try it for yourself! In soups, casseroles, risottos, pasta dishes and sauces. Or simply heat it up and sip away. The link below provides a list of stores throughout the U.S. that carry Aneto products. Click here for more FAQ’s about Aneto. In the meantime, we’re giving away a set of broths to two winners! Two winners will each receive a set of four premium Aneto products. To be entered into the giveaway, simply leave a comment below telling us what impressed you most about this article. This giveaway is open to U.S. residents only. Winners will be contacted via email and must respond within 48 hours or another winner will be selected. This giveaway ends September 30, 2016. THIS GIVEAWAY HAS ENDED. Congratulations to our two winners, Fran and Libby! Disclosure: I did not receive any compensation for this post. I published this in a desire to share with you a company and product that I greatly love and respect. 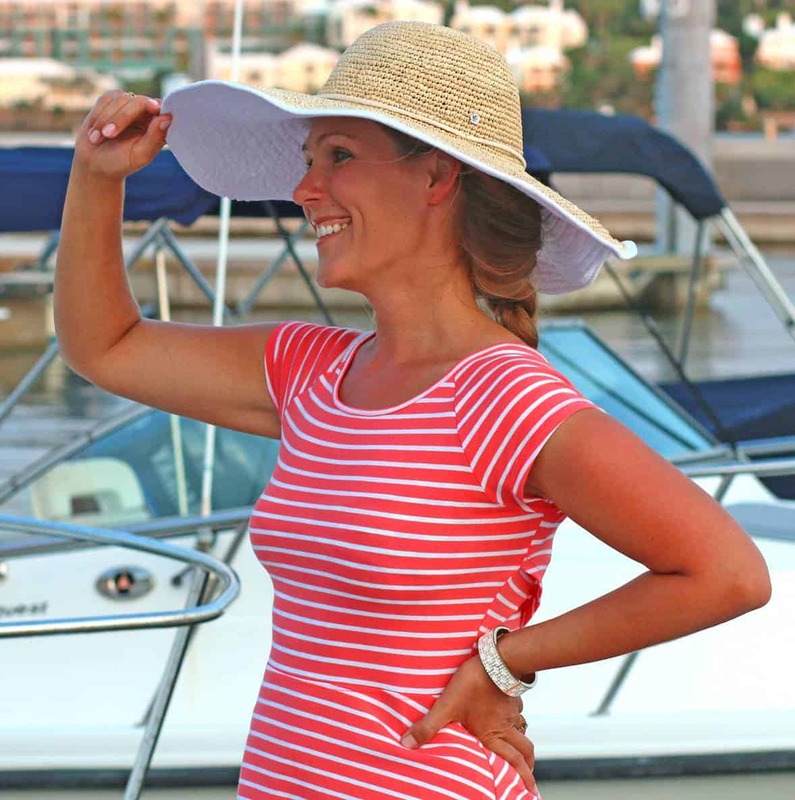 A special thank you to my readers for supporting the brands we love! I love that the owner is also a food blogger! Hi Judith, the owner isn’t but Aneto’s product developer is and yes, I think it’s really awesome, too! Now that’s a great ingredients list! I’m surprised what so many companies can get away with putting in our food! When it will be available in Canada ? Looks so gorgeous and incredibly delicious . And how to get an invitation for the culinary tour? Hi Irina, Aneto’s products are not yet available in Canada but they will be – hopefully soon! Hi David, the last time I checked it was not yet available in stores. Hopefully soon! I would love to try these. I was quite taken with how clean everything is! The vegetables look so fresh! The pots, etc. are so sparkling clean. The chicken, wow!!! Love, love, love this. Are there plans to sell this in the US? The thing that inspired me most with this post is that the company(Aneto)makes the broth from fresh ingredients.The steps they take in making a very good product.That they make it with no flavor enhances,no fillers.From what I have read here the product is superior to all similar products on the market today.I can not wait to try this product.Fantastic post and information on a true company. They really are incredible, Terry, I just can’t say enough about Aneto. I feel so passionately about what they’re doing. Thanks for reading and I’m excited for you to try their wonderful broths! Glad to see how homemade the product is. Even happier that the markets I shop at carry your products. 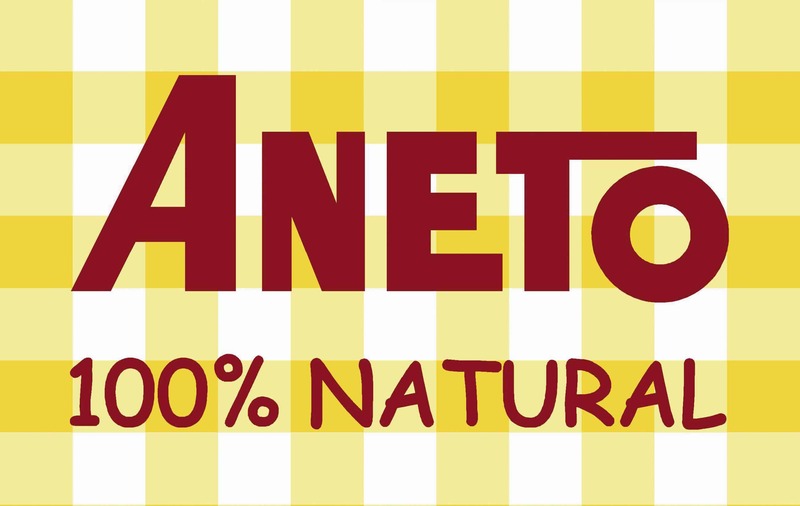 That’s fantastic, Denis, I’m so glad the stores near you carry Aneto products – enjoy! This sounds like what I’ve been looking for… your tour was amazing, I can’t wait to find & use these products !! That’s awesome, Abby, I can’t wait for you to try them! True homemade broth made in quantities is an amazing feat for an individual, but more so for a company. Thank you for sharing this experience with your audience. I will certainly find a way to purchase and share these products with my family. Certainly will save me a lot of time and effort. Sounds great! Can’t wait to try it. I have never tried this product and living in AZ. I have not seen it in stores. So will keep my fingers crossed that I win at least one so I can try it. Love Greek food so I am sure it will be fantastic. Would like to know the prices as well. Oh my, I can never again use the brand I’ve used for many, many, years! Aneto store, here I come! I make all my own broths from fresh and with a pressure cooker. The pressure intensifies all ingredients and in about 1/3 the time. Having said that…My next trip will be to get some and taste and support them by purchasing. Love your Blog…Thanks for sharing…! That’s wonderful, Christoph, you will definitely appreciate the difference in Aneto’s broths compared to all others on the market. There simply IS no comparison. And if you’ve ever made paella before, just wait till you’ve tried their paella cooking bases! I love to use them for a variety of sauces, casseroles and risottos, too. I love the fact that it’s done the same as homemade. Hoping to win, but have added 12 to my Amazon cart! I have used Aneto a couple of times and loved it! I love the freshness of their products, also the cleanliness and beauty of their manufacturing plant. Would love to try it!! I’ve been making my own Chicken Broths with Ina Garten’s recipe, although it is so delicious it is nonetheless time consuming. I’ve 2 Disabled Military Veterans in my home & I usually make the broths at night; again Ina’s Chicken Broth is delicious but I’d love to find Great Broth that I could serve to my veterans without worrying about their health. Again, Thank You for this & I will be searching on line for a proximity nearby. Keep your fingers crossed! I wasn’t able to “open” the list of stores carrying Aneto Broth. I was impressed (in the horrified sense) by what I learned about the preparation and lack of wholesome ingredients in most commercial chicken broths. Yuck! It’s amazing to read about how natural the broths made by Aneto are in contrast. I usually make my own broth, but good to know there’s a great brand out there as a backup. I hope to win since I really doubt it’s carried in rural Wyoming! Wow, I never knew just how diluted chicken broth could be! Great post and it sounds like Aneto is a great company; I’ll definitely look for their product when I go grocery shopping! sounds wonderful is it available in the UK? Hi Hazel, yes! In the UK they can be purchased at http://www.tiendaneto.com where you can order 6-pack quantities. I was very impressed with the fresh ingredients used, and how clean everything looked. Would love to get my hands on the broth for paella. Also the seafood broth. WOW! That is probably the freshest stock I’ve seen that you can buy! Definitely need to keep eye out for this! It’s amazing that we do not have companies like this here in the United States!Hard to single out one particular thing as the whole article was just great reading and it makes me want to google where I can buy their products here. I do make my own chicken stock and use a lot of veggies too so I can only imagine how wonderful Aneto’s broths are! Great article and thanks for sharing and enlightening folks about the sad state of packaged broths here! I haven’t had the chance to try this broth, i will be looking for it when I go food shopping. I am so excited to learn about Aneto broths as I rarely make my own and am always looking for something more natural. What impressed me the most is that this broth is made exactly as it would be in our kitchens!! No chemicals whatsoever, and I LOVE that. Thanks so much for doing this post, I’d love to win, but regardless, I’ll be looking for Aneto broths in the store! Most inspired that they make broth just the way we do at home ! I would love a source that can actually duplicate that flavor when I’m in a pinch ! I always knew our commercially sold broths were sad but I had no idea just how horrible they are. Shocking. How does this happen? And Aneto makes broths specifically for paella!!! I’ll have to see if it’s sold in my area! Thank you for educating us! Thanks for sharing and educating us on readily available broths in USA. I would love to give them a try. It looks like the Spanish make broth/stock like I do meaning it will be awesome!! I have worked in the food industry for 40 years. I have seen this type of operation but only seldomly. Can confirm this operation, as described would give a high quality product consistantly. 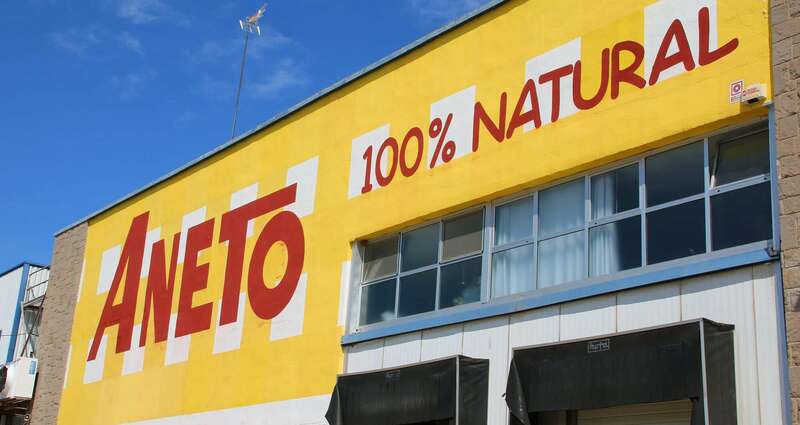 Aneto is definately a brand to look out for. Would love to try them but sadly live in Thailand. Still we have plenty of markets to buy the fresh ingredients 😀. If this deserves a prize please give to a local food kitchen. Best paul. What a great looking company! What great looking people! What wonderful broth that I’m dying to try! Thanks so much for the Aneto tour and information. What a trip! To me exceptional broth is the basis for exceptional cooking so that makes it worthwhile to use only the best. Aneto! The article was impressively comprehensive. I like that you showed actual people and faces connected to the production. From the beginning of the preparation process to the resulting product, an excellent portrayal of the company. I am anxious to try Aneto’s products! 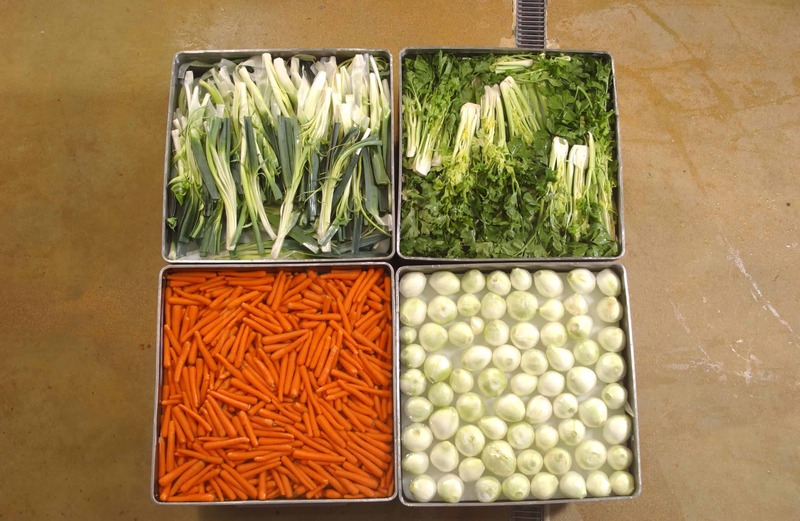 These pictures of fresh veggies and Aneto’s rich colored broth is making me hungry! What can be better than all natural ingredients for homemade recipes? I also make my own bone and vegetable broths weekly. Surprised, though, that the vegetable broth includes cabbage, which usually imparts a bitter taste. Nevertheless, I will have to try Aneto! A very insightful post not only featuring a healthy product but also raising consumer awareness about the items on the market that are deemed edible but certainly not good for you. So proud to see a high quality product from Spain! This sounds like an incredible broth! I bet that Jamon broth would be so good in pea soup too! I’d love to try it! I was amused that you got a little emotional when touring the plant. Until I saw the large, stainless steel container filled with the beautiful, brightly colored vegetables! No tears just the knowledge that there are people genuinely wanting to promote health, not their pocket books. So grateful you went on their tour. So refreshing to know there are actually products available that are made from fresh and wholesome ingredients! What an eye opening article. I need to find this broth and try it out. What a fun trip! And those stock pots??? WOW!! Quite impressive! Okay, this post makes me want to dump out every can and carton of broth in my pantry right now. I hadn’t heard of Aneto, but am so impressed by the process you described in making it. Seriously, you can’t beat that ingredients list! This looks like a fun trip! I need to try this broth ASAP! I truly love that their broth is made with whole ingredients. So impressive!!! WOW I can’t wait to try this broth!! They make it the right way!! What a trip of a lifetime and it looked so fun! Great photos capturing your time there! Yes, please!! This broth sounds like something I really need to have. All natural and delicious!! Wow, such an eye-opening post! I had no idea how other companies made their broth. Really makes me think twice now! I’d love to try this broth; it sound delicious! I’m going to be on the lookout for it! I had no idea so much went into broth! Thanks for sharing this with us! What a great opportunity to visit and see how they actually make the products we love! Such a fun experience! Love that Aneto use fresh ingredients! 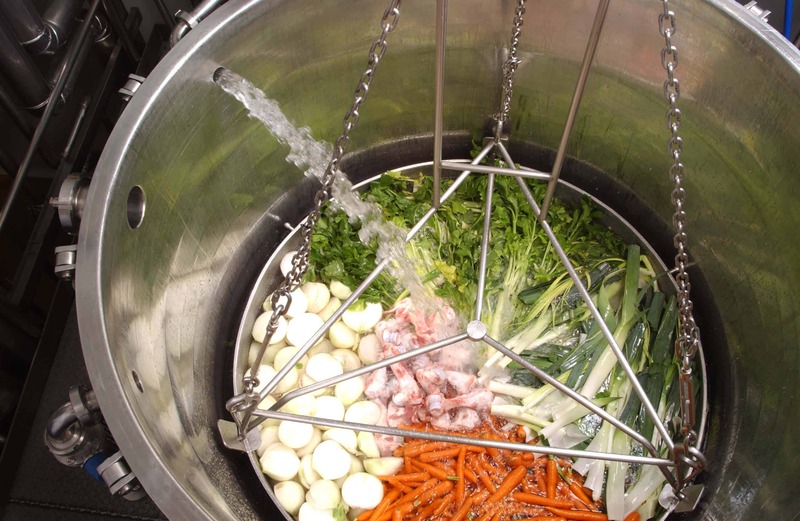 I love seeing the huge cooking pots of fresh veggies and bones going down to cook into the broth. I am so impressed by the home-feel of the operation. Loved this post! The ingredient list is so impressive. My mouth is watering just thinking about it, the flavor must be fantastic! Glad to hear a company is passionate about real, fresh products! Nothing beats a great broth. Looks like they know their stuff and are high quality. I love that. Great photos. Wow–I loved reading through this! I just finished a book that inspired me to cook with more natural ingredients (I didn’t even realize how many of the products I had been using were so processed!) and I love that this broth is made with real ingredients! So informative! I usually make my own broth and kick myself in the you know what when I cheat and buy a canned one, always too salty, ruins a good dish. Aneto’s looks fabulous when companies care about what they produce, quite obvious as they allow tours and photography in their facility they have nothing to hide. I can only imagine how great this product is most likely well worth whatever they charge for it. Lucky you what a great and informative post. I was shocked by the standards or lack of standards for American products. If Aneto was available to me locally I would buy one of every broth they make. Crazy that American companies cannot be bothered to make a quality product when it is obviously doable. SO I feel like I’ve been living in the dark when it comes to broths, chicken and beef. I mean I’ve made some at home but most of the time I’m just reaching for a box of broth or a cube! I knew that the boxed stuff, even the organic boxed stuff wasn’t completely homemade, but I’m actually shocked to hear that so little chicken is actually in chicken broth. It’s more like it should be named chemical broth. I need to start searching around here to find some Aneto! We use a lot of chicken, beef and vegetable broth around here and I want something that’s good for my family! I also love that they send off their leftovers for animal feed! 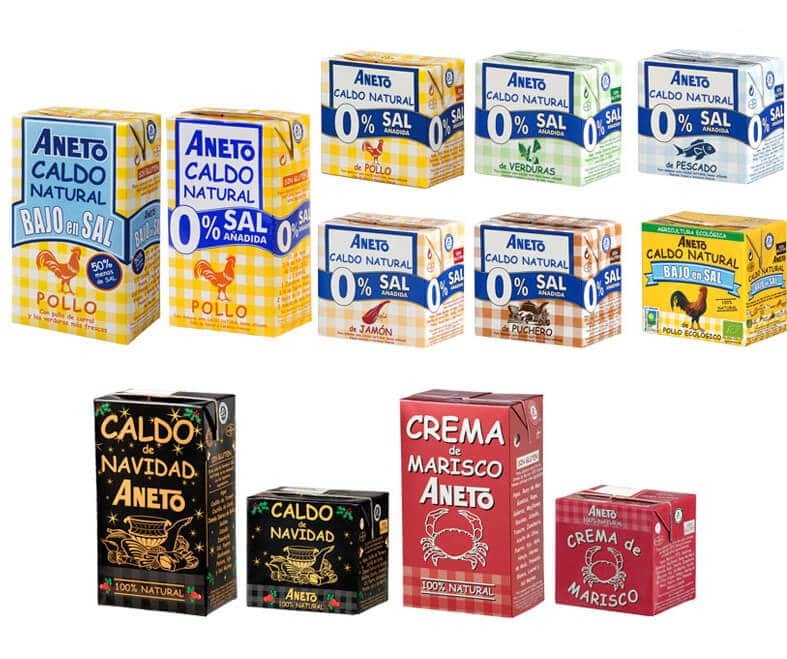 I love the comparison made between Aneto and other companies… and the fact that Aneto uses so much real chicken in their broths! Wow, how interesting! I will have to look for this brand. This is great information! What a cool experience to be able to tour their factory! Like I make stock on a much larger scale!! I liked best that the broths were all natural with maximum flavor from the long cooking process. I appreciate the wholesome approach your family lives by with the preparation of your products. Your passion and commitment to quality is admirable. I am reminded of my two dear loving grandmothers who shared with me many of their generations-old recipes from the “old country”; recipes I will always cherish. I wish you great success! Would love to try these products! Love the fact the company uses the fresh ingredients that they do! The process is impressive, just like at home but a much larger scale! It is great to see such fresh products being used. Wow! Another great and informative article Kimberly. 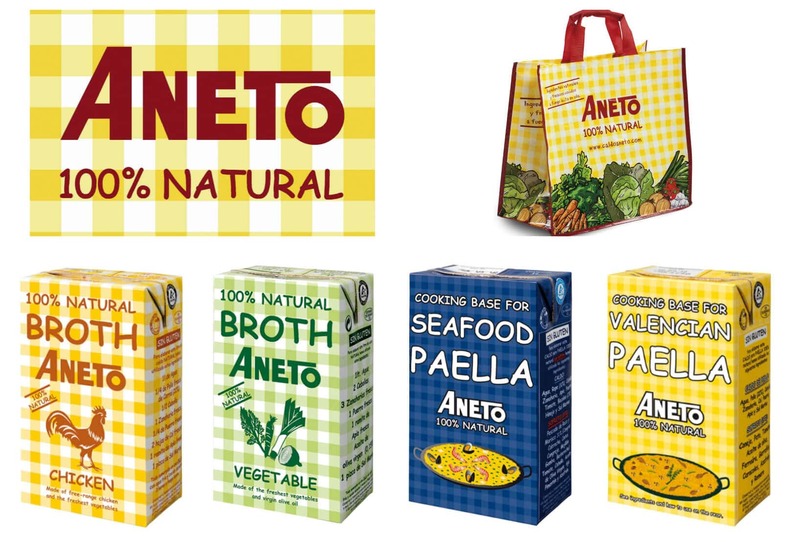 I know of Aneto and their products as I have seen them in Supermercado Lidl and El Corte Ingles’s in Madrid and Barcelona…. I have never tried their products and will now definitely be looking for this online. Unfortunately, it is not available nearby; but after I try it I will “persuade” ;) the Fresh Market here to carry it. Like other commenters when I am creating a special meal and the substitutes just will not do, I make my own broths, consomme’s and demi-glace. The magical pressure cooker works fine here and you will even end up with useable gelatin for pates. Were those commercial Fagor appliances in the pictures? Thanks again for the exceptional research. Bon appetit! Machen leben lecker. These sound wonderful. I agree that most puchased broths on the market have little or no flavor or nutrition. 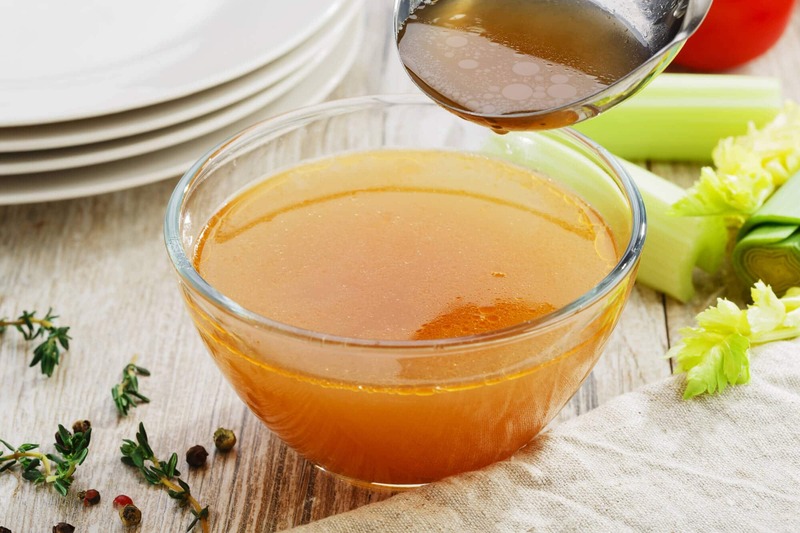 I love making my own broths, stocks, and demi-glace and have done so for years, but they are very time consuming and expensive when cooking for one…well worth it, when entertaining! It would be wonderful to have “real” broths. I make lots of soups and stews to give to friends and to stash in the freezer. Without the real thing they just don’t have the flavor I am looking for. The Aneto products seem to be a dream come true. Are they avaiable on-line anywhere? I love that these are truly clean. I switched my family to clean eating just in the last month. I can’t believe the changes we’ve already experienced. I am finding out so many things and now with my first 2 grandkids I’m teaching them better health and eating habits. Thank you so much for sharing this. I had the seafood paella base in Barcelona this past summer, and I’ve been craving it ever since! You mentioned that Aneto will be available in Canada “hopefully soon”…do you have any additional information about this? That’s awesome that you were able to try Aneto while in Barcelona, Rob! I don’t have any updates yet when their products will come available in Canada. In the list I provided about store locations there are also some online options and a couple of those may ship to Canada, I’m not sure. I will be writing more about Aneto in the future though and as soon as they tell me their products are available in Canada I’ll include that info. Yes, homemade is cheaper, Jaye. That’s true for practically anything. The point here is that Aneto makes a storebought broth – the only storebought broth on the market – that’s made in “homemade” fashion for people who may not have the time or desire to make it themselves every time they need chicken broth for a recipe. I was born in Artes (the village were aneto is produced). At home my mom always made homemade chicken broth so I never had to buy aneto’s. Now I don’t live in spain anymore and my grandmother (that lives in that village) bought me some packs and I brought them to Switzerland. Aneto’s broth is the closest to my mom’s chicken soup. I was looking for a way to buy them in switzerland and stepped upon your web. I am very happy to see how people in the US can enjoy this amazing homemade product.